The Oleo Miracle system helps to bring overprocessed and damaged hair back to vitality with shine. The formula contains 3 precious oils such as Argan, camellia and pracaxi to nourish and bring out hair's natural beauty while both protecting it from aggressors and detangling your hair. 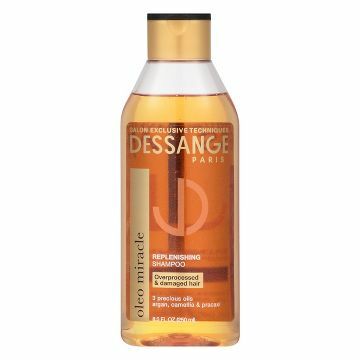 For magical hair results, discover the entire Oleo Miracle Replenishing System: Shampoo, Conditioner and Oil. For healthy looking hair, nourish with the Replenishing Oil each day as the perfect finishing touch. Bring damaged hair back to life with vitality and shine. For overprocessed and damaged hair the Oleo Miracle System helps bring your overprocessed and damaged hair back to vitality with shine. This formula with 3 precious oils of Argan, camellia and pracaxi nourishes and brings out your hair’s natural beauty while both protecting from aggressors and detangling your hair. It is good for all hair types. Use it for shine enhancing, smoothing and moisturizing. The Oleo Miracle system helps bring overprocess hair and damaged hair back to vitality with shine. The formula contains 3 precious oils of Argan, camellia and pracaxi that nourish and bring out the hair's natural beauty while both protecting from aggressors and detangling your hair For magical hair results, discover the entire Oleo Miracle Replenishing System: Replenishing Shampoo, Conditioner and Oil. 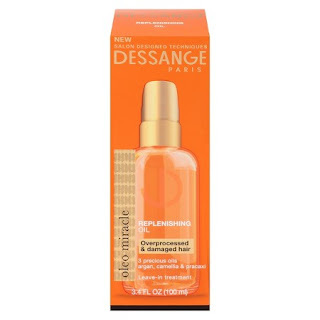 For healthy-looking hair, nourish with the Replenishing Oil each day as the perfect finishing touch. Nourish with the Replenishing Oil each day as the perfect finishing touch. Bring damaged hair back to vitality with shine. The Oleo Miracle system helps bring your overprocessed and damaged hair back to vitality with shine. This formula with 3 precious oils of Argan, camellia and pracaxi nourish and bring out your hair’s natural beauty while both protecting from aggressors and detangling your hair. This formula with 3 precious oils of Argan, camellia and pracaxi nourish and bring out your hair’s natural beauty while both protecting from aggressors and detangling your hair. 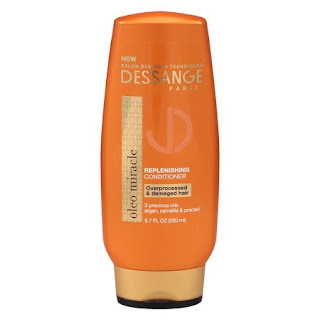 The conditioner is for all hair types and repairs damage, moisturizes and detangles hair. Directions: Apply 2-3 dime-sized drops to your hair. Delicately massage the oil with your fingertips to let the oil nourish your hair. Great for all hair types. This is shine enhancing and frizz smoothing. All three products work as they say they will. 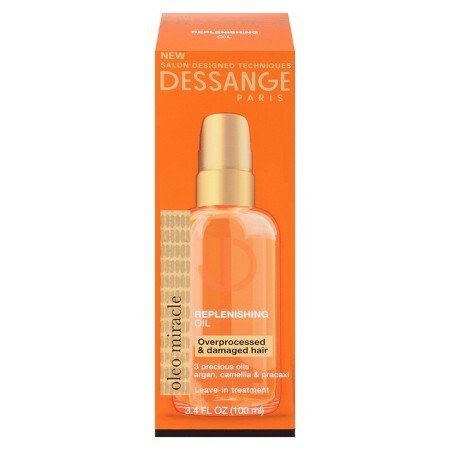 They work deeply on the hair to smooth it out and repair deep damage. As much as it can. Having three oils to work on the hair is great because these oils are excellent for the vitality of the hair. They keep it from being damaged, frizzy, overprocessed and dry. Hair is shiny, soft and smooth. It looks like it is in peak condition. Dessange hair products are purchased at Target stores and online at www.target.com.